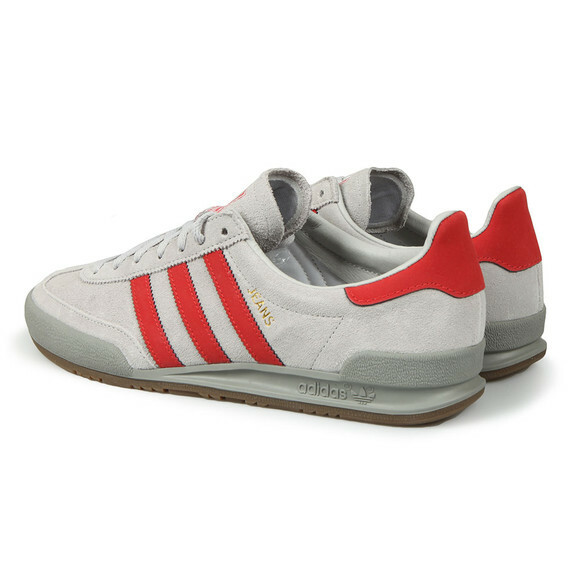 Adidas Originals Jeans Trainer Grey/Scarlet. 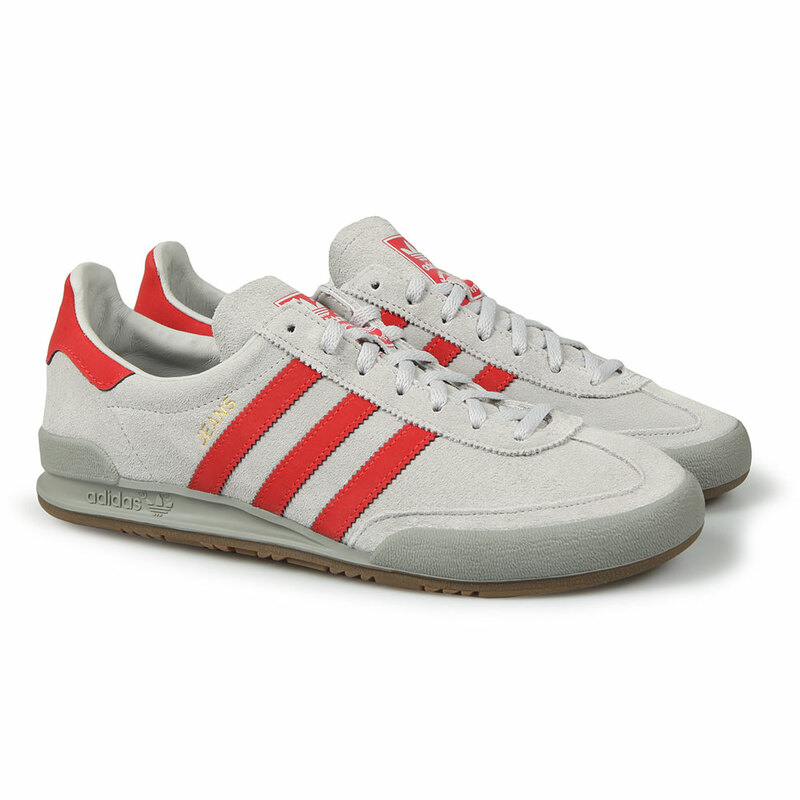 Launched in the 1980s as a training shoe and ever since has become a much-loved cult classic. 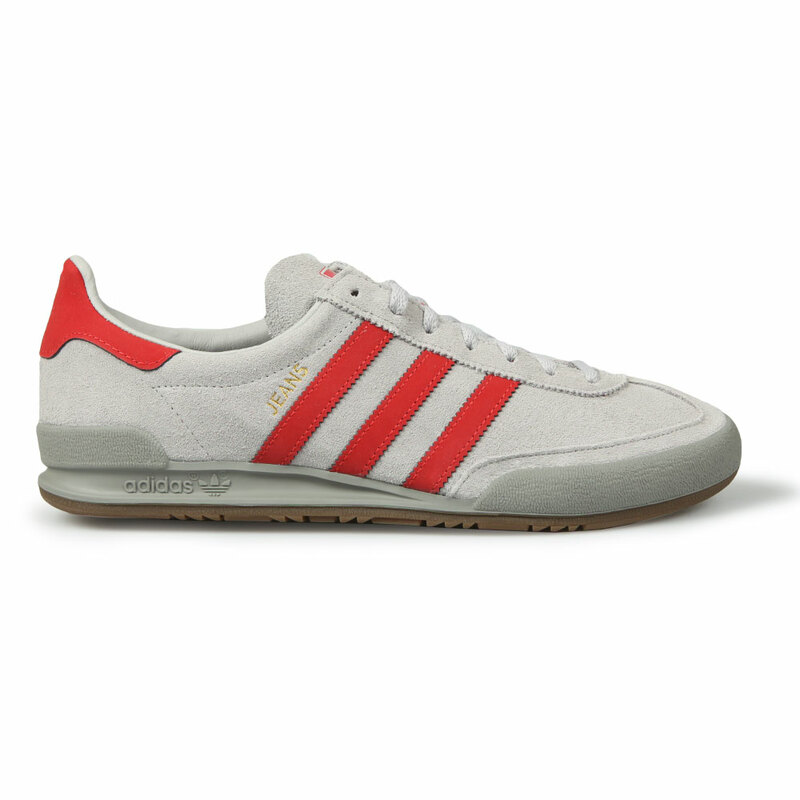 Featuring a full suede upper with leather three stripe trim to the sides. 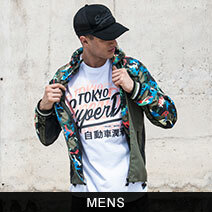 Rubber sole, lace closure and the branded Adidas Originals logo to the tongue.